Most supplements on the market today fall short of the recommended allowance of either, or both ingredients. 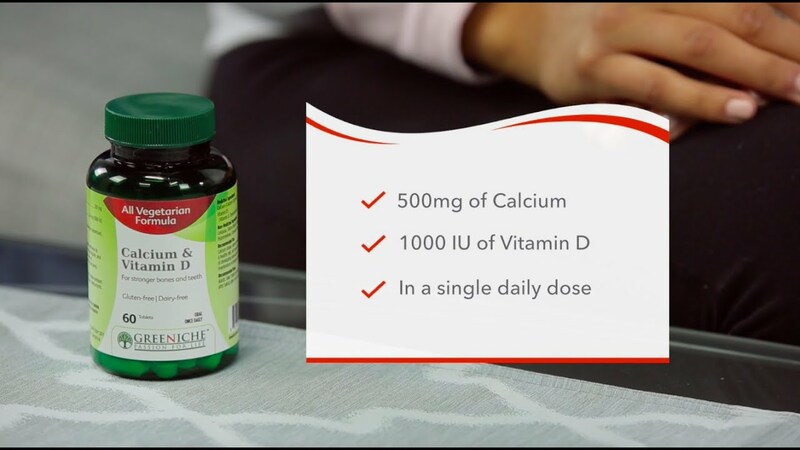 Greeniche Vegetarian Calcium and Vitamin-D deliver 500mg of calcium and 1,000IU of Vitamin D in a single daily dose. Cellulose, Silicon Dioxide, Magnesium Stearate, Hypromellose, Carnauba Wax. Calcium intake, when combined with su¬cient Vitamin D, a healthy diet, and regular exercise, may reduce the risk of developing osteoporosis. Helps in development and maintenance of bones and teeth. Adults: Take 1 tablet once daily, a few hours before or after taking other medications.